The De Sousa name first popped up in Avize in the beginning of the twentieth century. Manuel De Sousa had fought in France during the First World War, and assuming that there would be plenty of work in rebuilding an economy in shambles, he took the bold decision to get out of Bragas, Portugal, and settled in Avize with his wife and son. Unfortunately he didn’t get much of a chance to build himself a life in France as he passed away at 29, leaving behind his wife and their four children. 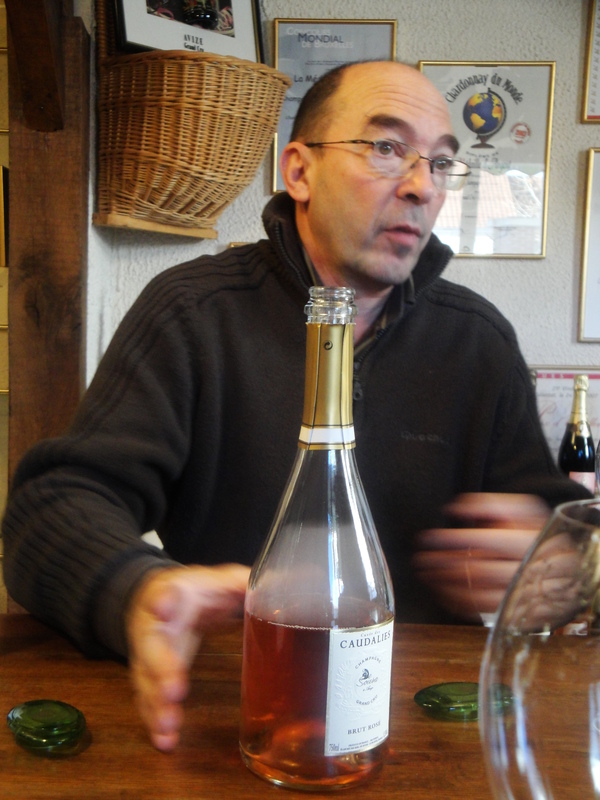 Luckily for them, his son did find the time to settle in the local community and he began courting Zoémie Bonville, the daughter of one of the better regarded vigneron-families in the region. A marriage was enough to seal the deal and like that the De Sousa family found itself growing wine. The Bonville-family may have been one of the bigger producers in the Côte des Blancs, it was traditionally not known for unique or world-renowned champagne. This changed in the eighties when the third De Sousa generation took over the reins and Michelle and Erick were given the chance to prove what the domain’s vineyards were capable of. Influenced by the increasingly important movement of independent growers who wanted to prove that there was more to the region than the big houses, they adopted the principles of biodynamic viticulture and focused on building a new image for their champagnes. The family’s main parcels can be found in Avize, Cramant, Oger and Mesnil-sur-Oger. Aside from the Côte des Blancs, they also own vineyards in Aÿ and Ambonnay (pinot noir of course). All in all they have about 9.5ha, producing 100 000 bottles a year. Since Erick de Sousa took over, the focus lies more on terroir expression whereas the different parcels were often blended together in the past. The average age of the vineyards is 45+ years old. This in itself is rather unique in Champagne where older vines are often uprooted in favor of younger ones in order to increase yields. Old vines however are essential for complexity. Only the strongest vines will survive and the roots have to dig deeper, penetrating the different layers of soil creating still wines that are far more complex than the ones you could get out of a five year old vine. The most important work takes place in the vineyard, as the family believes that you can only create excellent champagne if you have an excellent still wine to begin with. The biodynamic viticulture has been mentioned before, but only recently about 20% of the vineyards is only treated by horse in order to maintain the looser structure of the soil. The domain is working on releasing a champagne using only grapes sourced from these parcels. Yields are very strict, in particular for the cuvées de prestige, and the harvest is only done when optimal ripeness is achieved in order to avoid chaptalisation (adding sugar in order to get to the required alcohol percentage). The entry level wine is the Tradition (50% chardonnay, 40% pinot noir and 10% pinot meunier), élevage in stainless steel. Very open on the nose, fruitiness and elegance. Pinot noir gives it a broad structure in the mouth, but you get the freshness and the acidity of the chardonnay as support. Up next is the 3A, one of my favorite wines in the tasting. Sourced from parcels in the three Grand Cru villages Avize, Aÿ and Ambonnay, this champagne is a blend of chardonnay and pinot noir. The still chardonnay wines spend some time in small casks (225l), an influence which comes through particularly well in the nose. Grilled impressions at first, followed by a delicate fruitiness. In the mouth you first get a broad sense of the oak which is immediately elevated by the substantial structure provided by the pinot noir. Minerality kicks off the finish and brings everything together. The wine still has an openness that makes it appealing to a broader public, but I would prefer combining it with something to eat, scallops or bouchot mussels. The flagship wine of the domain is the Caudalies. 100% Grand Cru chardonnay, vines of 60+ years old, low yields, spontaneous fermentation and only 5 grams of dosage (whereas the Tradition has 8). Since 1995, 50% of all still wine used for the Caudalies is set aside for aging using the Solera system. Some readers may know the principle from Spain, where it is used in the production of sherry. Picture stacked rows of casks filled with wine. The top row contains the youngest wines and the lowest row the oldest wines. Each year you start bottling from the lowest row, referred to as the solera. The volume that you take out will be refilled using the casks in the row above it which will in turn be refilled with the wines in the top row. The system used in Champagne is a bit different, as the still wines are first raised in small casks (mix of old and new oak). Afterwards they are added to the solera, a 50 hl stainless steel tank. Every year a part of the wine is bottled, after which the tank is topped up again with the new still wines. Now imagine that this has been done continuously since 1995 and you will realize that you can create enormously complex wines while still safeguarding the typicity of the terroir. 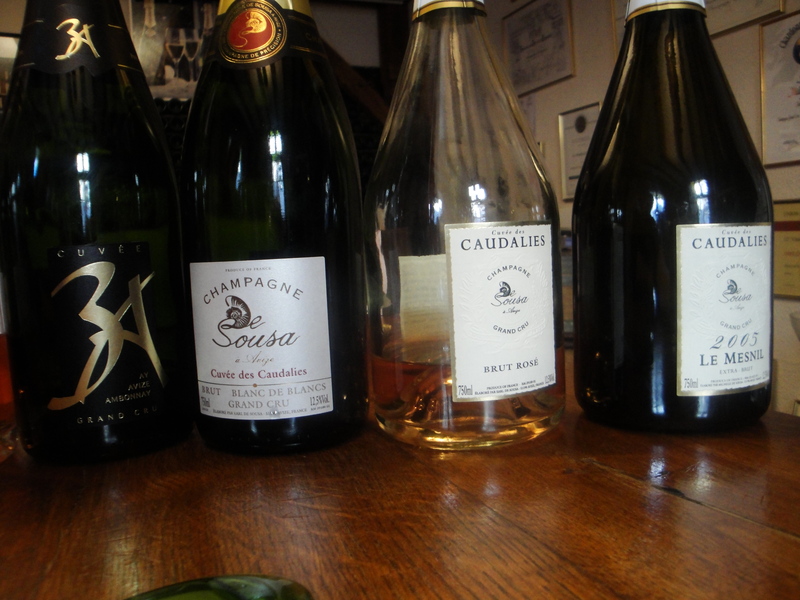 The Caudalies we tasted had been tapped out of the solera in 2007, so you have 12 vintages in a single wine! Afterwards the champagne spends 4 years sur lattes before it’s ready to be commercialized. The wine starts out surprisingly delicate on the nose, white fruit, tropical impressions at first, then a little bit nutty. After some time in the glass it really starts to open up with tertiary, more vinous aromas that show the history behind the wine. The mouthfeeling is ever so slightly creamy but manages to retain a delicate balance with the acidity and the minerality that is more pronounced towards the end. It goes very broad and pure, showing a lot of depth while staying elegant at the same time. The finish is soft and endless, nuanced but present. The Caudalies Rosé is made using 90% Chardonnay from the same solera as the previous cuvée. It is a rosé d’assemblage, meaning that 10% of Coteaux Champenois Rouge, also been raised in small casks, is added. Dominant red fruit on the nose, brioche, strawberries and raspberries. Sensation in the mouth is rich, creamy and dominated by delicate fruitiness. It’s again well-balanced and showing more substance compared to the blanc des blancs. This would be excellent to pair up with food. We were in luck as a couple of days before our visit a journalist had dropped by. He was given the opportunity to taste the family’s most prestigious wine. In exceptional years the Caudalies will not be made using only the solera system, but also in version millésimé. 2005 was one of those vintages, resulting in Le Mesnil 2005. The entire production was 1 500 bottles, and the domain sells only 200 bottles each year, as they want to show people year after year how a true terroir champagne can evolve, trying to keep a stock over five to six years. The bottle had been open for a couple of days but it was still very much alive. A darker shade of yellow and immensely delicate bubbles. Rich on the nose, powerful and a slight oxidative note. Zesty minerality, hints of orange peel and a little bit of spiciness continued in the mouth but were again uplifted by the elegant acidity. It’s much more vinous than you’d expect of champagne but the breadth, the depth and the elegance made this a sensational experience for me, and only one word pops up when I remember it: majestic. I was surprised by the lack of interest and chatter around De Sousa outside of France. It’s a shame as these are excellent champagnes and great examples of the elegance and the finesse that the Côte des Blancs is capable of. 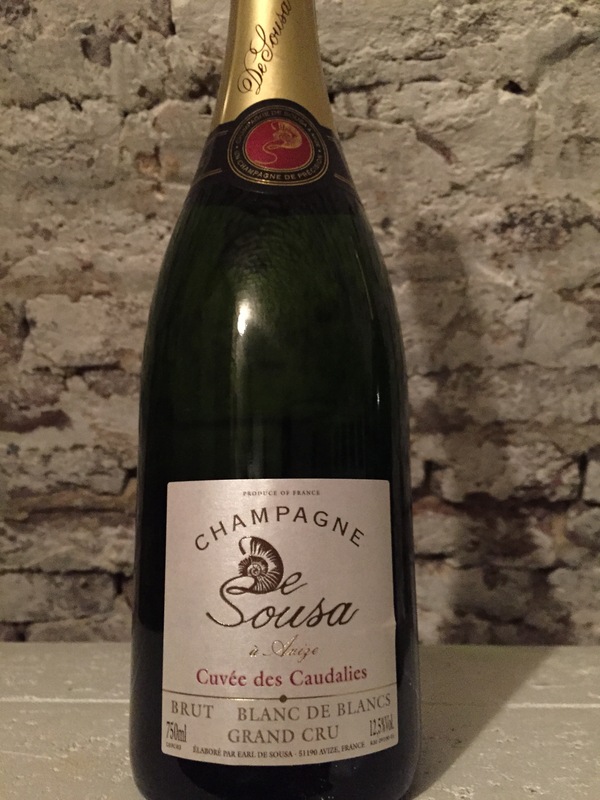 The entry cuvées are approachable, open and with just the right acidity to be appealing to anyone who is looking for something more than the average watered down sugary grand marque that floods the supermarkets around the holidays. The other cuvées can be pricy, but if complexity, richness, depth and Côte des Blancs elegance is your thing, you would be hard pressed to find superior wines! Peter, can you give an indication about the price of each cuvée ?